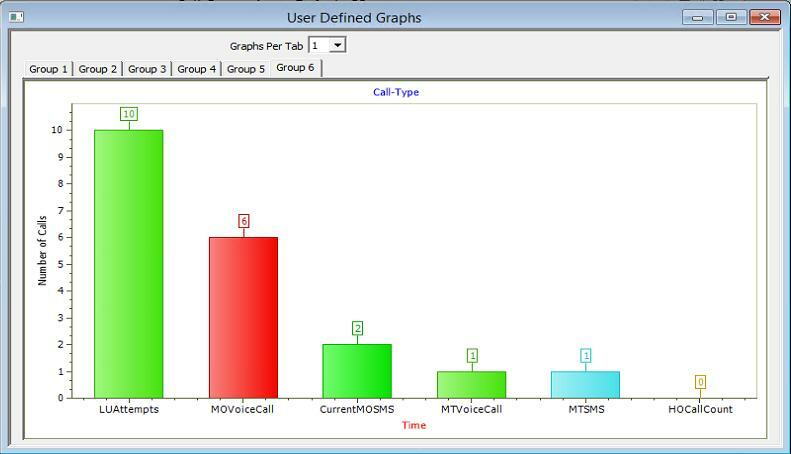 With support of additional licensing (PKS108) RTP voice quality metrics for the received calls are calculated and are reported to MAPS™ application. Quality metrics include R-Factor, Listening and Conversational Quality MOS scores, PacketLoss, Discarded Packets, Out of Sequence Packets and Duplicate Packets. R Factor graph will display statistics such as, R-Listening, R-Conversational, R-G107 and R-Nom. 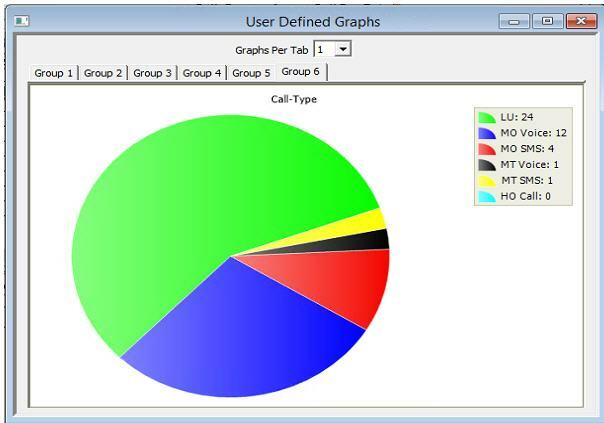 MOS Factor graph will display statistics such as MOS CQ, MOS PQ and MOS Nom. Estimates are based on the ITU G.107 E Model. A typical estimate of the MOS and R-Factor scores for each codec is available in Voice Codecs webpage. GL’s MAPS™ application provides a feature which helps users to customize the global statistics for RTP audio and video traffic. 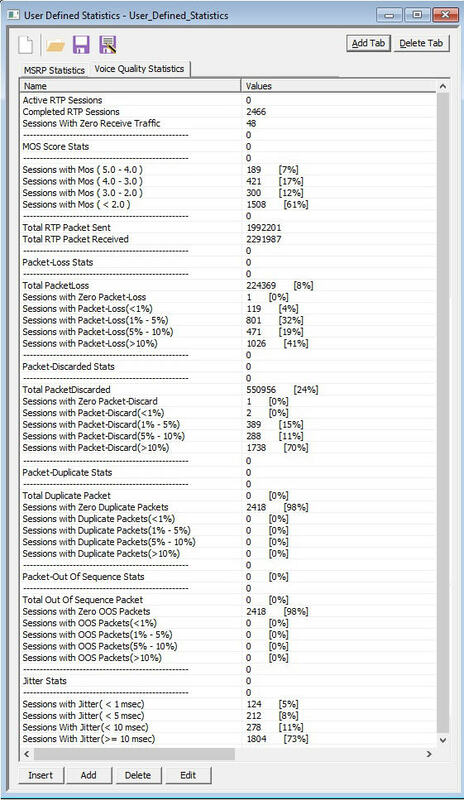 These global parameters are defined in the call generation scripts, which are calculated and updated periodically providing call quality metrics such as Listening MOS, Conversational MOS, PacketLoss, Discarded Packets, Out of Sequence Packets, Duplicate Packets, Delay and Jitter as shown in the figure below.